Ceviche is one of those seemingly esoteric dishes that Americans have truly embraced, especially those of us who live fairly near the ocean. A Peruvian inventon, the original ceviche recipe is fish or seafood marinated in citrus juices, which then “cook” the fish. I’ve seen all sorts of versions served in restaurants, and if you look on any angler’s forum you’ll see recipes for ceviche of… well anything, really. This can be a very bad idea. 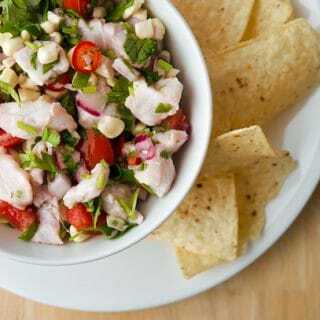 The reason is because ceviche (sev-ee-chay) is still very much raw fish or seafood. The citrus bath the seafood sits in does turn the meat opaque, giving it the appearance of being cooked, and it does kill some of the many wee beasties present in raw foods that can make you sick, notably the toxin vibrio. But the ceviche-making process will not protect you from the worst of the nasties, ranging from salmonella to parasites and worms. Certain species of fish tend to be more or less prone to parasites — a trip to the sushi bar will give you a clue as to what species these are. Tuna and other pelagic species tend to be free of parasites (swordfish being a notable exception), as is farmed salmon (oddly). But ever notice that mackerel (saba) is always cured? That’s because it can often contain anasakis worm larvae, also known as seal worm. Everything in the cod family is especially prone to infestation, too, which is why you never see cod sushi. Here in the West, Pacific salmon, rockfish and halibut well known to harbor anasakis larvae, and to be safe you must freeze your fish before eating it raw. And when I mean freezing I mean really freezing. You need the fish to hit -4°F for about a week to do the trick. Note that a lot of home freezers never hit this temperature. I don’t want to scare you too much. The vast majority of illnesses you might get from eating tainted or parasite-laden raw fish will be moderate to light. It’ll feel like food poisoning, with cramps, nausea and a serious case of the trots. Not fun, but not life-threatening, either. This is because in most cases we are not what’s called a “definitive” host, meaning the parasite hits a dead end with us. Seal worm is a great example. The seal worm (anasakis) is around wherever there are seals and sea lions — they are the “definitive” host for that parasite. When we eat raw, tainted salmon, the worm says, “Cool! A mammal! Let’s attach to his intestines.” But the worm soon learns that a person is not a sea lion and it dies, but not before making you sick. Bad idea. Under no circumstances should you eat freshwater fish raw or in ceviche that has not been properly frozen first. Remember the only way to get rid of a tapeworm, which can grow longer than 20 feet in your guts (nasty!) — is to take medicine that will kill it. You then need to eject the thing. Ew. Now that I’ve freaked you all out, here’s some good news: Actual illness from parasites and such is pretty rare. I’ve known guys who’ve eaten fresh raw salmon for years without getting sick, and raw Pacific salmon is one of the fish with the highest incidence of tapeworm and seal worm infestation. What’s more, you can vastly improve your chances of avoiding parasites in your fish by killing the fish quickly when it comes overboard, bleeding it, and gutting it ASAP. This last bit is the most important because virtually all the parasites hang out in the viscera of fish, not the meat. In most cases, the meat gets tainted because when the fish dies the parasites panic and burrow into the meat. 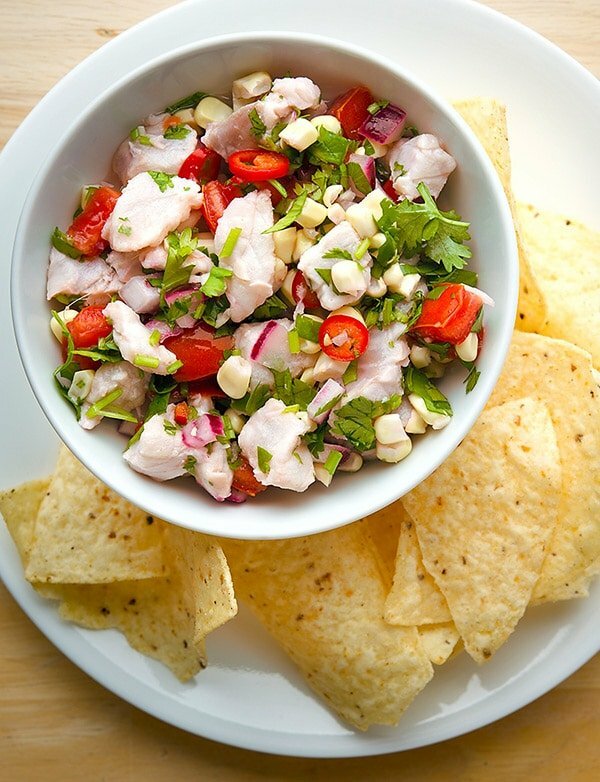 Bottom Line: Unless you are tuna fishing, make your ceviche from pre-frozen fish. It’s just a smart thing to do. Once it’s been properly frozen, however, the sky’s the limit. Traditional Peruvian ceviche typically has onions, chiles, cilantro and sometimes corn and tomatoes. 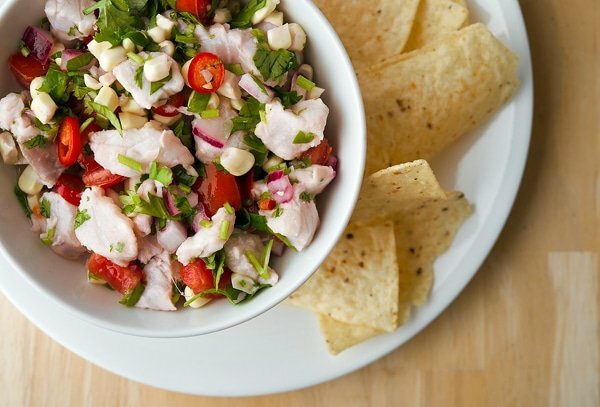 I normally go that route and serve an appetizer-style ceviche that’s great eaten on tortilla chips. 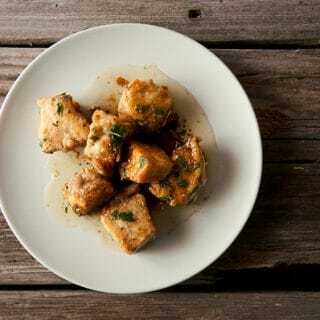 Fantastic for a light dinner, or to put out when you are watching football or having a party. I find that white, lean fish work best for ceviche. I've made it with bluefish and salmon before but I don't like it so much; you might have a different opinion. My standard ceviche fish is Pacific rockfish or lingcod that's been pre-frozen. Any sort of snapper, grouper, black seabass, porgy, sea trout, white seabass or yellowtail will work, as will pre-frozen freshwater fish like walleye or perch. Slice the fish into small, bite-sized pieces. Cut the tomatoes into pieces the same size as the fish and set them aside for later. Zest 1 lime, 1 lemon and the grapefruit and grate them fine; I use a microplane grater to do this. Mince the habanero fine. Juice all the citrus. Add all the ingredients except for the tomatoes and the cilantro to a bowl or plastic container with a lid and refrigerate for 30 minutes to 2 hours. Add the tomatoes and cilantro, mix well and serve cold with chips. Marinating times make a difference when you are making ceviche. Depending on the size of the fish pieces, you will need at least 30 minutes and normally an hour for the citrus to "cook" the fish. Two hours is fine, but beyond that the ceviche, while still good, becomes more of a pickled fish thing. It's a subtle difference, but you can taste it. Citrus matters, too. You always want the dominant citrus in the marinade to be either limes or lemons, which are far more acidic than oranges, grapefruits or tangerines. Add these fruits as an accent to the ceviche; I am especially fond of a little grapefruit in the mix. Find nearly 100 recipes for all sorts of fish, from walleye to bass, halibut, tuna, catfish and more here on Hunter Angler Gardener Cook! It’s not actually healthier. But yes, if you cook the fish and then soak, you are less likely to pick up a parasite, but it will no longer be ceviche. It will be closer to escabeche, a different dish. Well written and probably medically accurate. I have heard that you need to freeze well below 10’F. Don’t forge about rickettsia in seal worms that kill dogs (salmon poisoning).